Dave began his career in Financial Services nine years ago with a national financial institution as a Loan Officer and Sales Manager in residential lending. 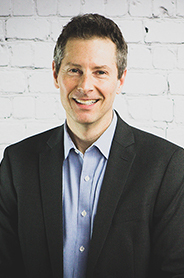 As a Financial Advisor, Dave is dedicated to educating clients and providing the information needed to help them make smart financial decisions. Dave's focus is on working with his clients to help prioritize what is most important and then developing a plan tailored to those goals and their unique stage in life. He works with individuals as well as small business owners to help them reach those financial goals. Dave believes that financial guidance is important for everyone regardless of assets, income, or circumstance. He is committed to help people feel confident about their financial decisions and pursue greater financial success. Dave grew up in Roseville and graduated from Northern Illinois University where he was a member of the Huskie's Tennis team. Today, Dave lives in Roseville with his wife Jen and their two boys, Ryan and Nate. When not working you can find Dave coaching his son's baseball and basketball teams and enjoying time with family and friends. Registered to sell securities in the following States: AZ, IL, MN, SD, WI. Registered for Advisory Services in the following States: AZ, IL, MN, SD, WI.